"She possesses a realness...' Anna Wintour writes; 'sincerely lacking in today's reality-obsessed world'. Indeed Adele maintains an authentic image, rather than deliberately branding herself, and it is the 'realness' Wintour writes of that resonates with her legions of fans. 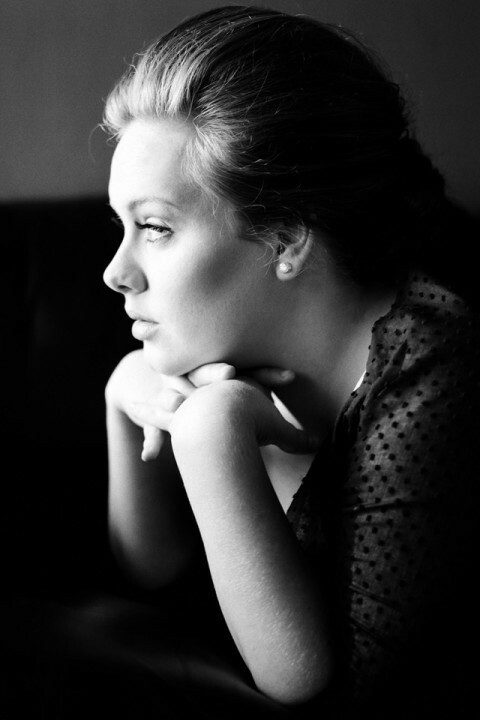 Adele really rose to fame when a record label discovered her singing on a Myspace clip, and at the age of 19, her debut album was released to positive reviews. It was during this period that I first heard Chasing Pavements, an early song which remained in my iPod's 'recently played' list for months. Since her follow up album 22's release last year, Adele (now 23) has won countless Grammy and Brit awards, sold millions of albums worldwide and cemented herself within the music industry. What Adele is most admirable for, in my eyes at least, is her accessibility demonstrated through her songwriting. Despite her songs being based on her personal experiences, the songs are ones which can easily be related to which explains their staying power on the charts and in the minds of listeners. Plus you've got to love her sense of humour. Case in point: When attending her first Vogue photo-shoot Adele was told [about Anna] "Don't talk to her unless she talks to you" and Adele responded "F*****g hell, bring on Meryl Streep!" -Adele featured in The Gentlewoman, 2011. -Adele featured in US Vogue, March 2012.